By now, the people of Bangkok have realized that our city governor's ceremony to placate Ganga, the Goddess of the Waters, was at best a temporary fix. A lake the size of Denmark is still bearing inexorably toward the heart of Bangkok. Concurrently with the daily reality show of dogs rescued from rooftops, old people refusing to be moved from everything they've ever known, and boatloads of do-gooding celebrities, another, darker drama is happening behind the scenes. Listening between the lines of governmental rhetoric, one hears the voices of those who have already written off the present — and are planning how they are going to get away with the aftermath. Groundwork is being laid for blame games. The déluge is being seen as a given, and political advantage has become the holy grail. This is not helpful, as over 500 people have now drowned or been electrocuted — a number vastly higher than the casualties of any of the various bits of political turmoil that have recently afflicted Thailand. Incompetence, lies and deception have certainly played a major role in the way all this has been handled in the last month or so, but to put it all on the people currently in power would simply be inaccurate. Indeed, I have a certain amount of sympathy for our prime minister, who is, well, just out of her depth. A natural disaster could not have been on anyone's list of contingencies when the Thaksinites put her up to run the country. But the flood which is now at my doorstep is the result of years of complacency, recklessness, and failure to exercise any kind of foresight or extrapolation. I've mentioned before that there's been a lot of bickering about which floodgates should be opened — and therefore who should be flooded first and by how much. The city and the state have each cited various one-upmanship laws; outraged citizens have been smashing dykes, hoping to let someone else get the worst of it all. Indeed, selfishness and self-interest seem to have come to the fore. The disaster has not brought out the best in us. A brilliant inspiring speech about how everyone should work together for the common good, followed by thoughtful and consistent action involving all branches of government, would have clinched the deal for Thailand's first female prime minister. Regardless of which neighborhoods got submerged, such a course of action would have made us feel that we were all in it together and would have pushed the "proud to be a Thai" button. Whether such a course would have actually saved lives or businesses one cannot know. But people would have felt a sense of communal destiny. Not only did it have a chance of improving the situation, but it would have been good politics. Now, the do-gooders in the news are compassionate citizens like Trisdee or our orchestra manager, Pongsatorn, who go out in boats all day long helping to hand out care packages (and even rescue dogs trapped on rooftops.) The army is getting a lot of good press, too, although the prime minister refused to declare a state of emergency, perhaps for fear they'd get too much power and stage a coup. As the country-sized lake rumbles toward downtown, we have instead a new kind of speculation, one that is not about centimeters per hour, lunar gravity and tides, or predictions of precipitation. Rather, we have returned to our neolithic roots, and sympathetic magic is widely seen as the explanation for this disaster. What I am about to tell you is a theory advanced by sober, rational people who happen to live in a country which lies, as I've often said, at the uneasy crossroads of futurism and feudalism. In Thailand, people do believe in the power of science — and do consult their astrologer before undertaking any important task. And truth, you must understand, is the majority congruence of our individual private illusions. That is why truth can be as fluid as the water which is about to engulf us. Here is the conventional wisdom amongst a growing segment of Bangkok's population. 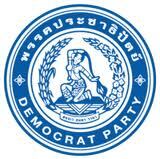 The emblem of the democratic party, which is, despite defections by radicals, the main bastion of those with yellow-shirted leanings in this country, is the earth goddess Mae Thorani (Sanskrit Dharani, cognate with the Latin word terra.) In Buddhist mythology, it is believed that when Prince Siddhartha sat beneath the bodhi tree to seek enlightenment, the evil god Mara appeared to tempt him. But the earth goddess appeared and, squeezing a fountain of purifying water from her hair, drove away the forces of darkness. Now, it just so happens that, during the troubles last year, there was a nasty incident in which blood was spattered by red shirts at the democrat party's headquarters, in effect, polluting the sacred icon. There were a number of things about the incident that could be considered sacrilegious when viewed by those who want to see sacrilege. From that moment on, there were those who whispered that the goddess would exact some kind of vengeance. Well, the red shirts are now running the country, and guess what? 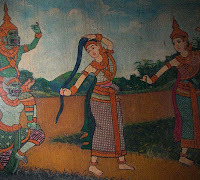 Here's the patron goddess of the democrat party, squeezing the cosmic waters to purify the country and dispel Mara's temptations and put Thailand back on the path of righteousness. What seems to be as "fringe" as Sarah Palin exorcizing democrats in church becomes almost logical after you hear one of the true believers enumerate the evidence. 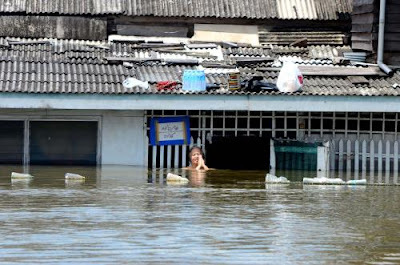 The flooding, they will tell you, has hit red shirt-leaning parts of the country more than the almost completely democrat leaning south of Thailand — which isn't usually spared the annual inundation. They'll cite all sorts of facts to prove this hypothesis, facts one cannot argue with because one has never thought it might be necessary to disprove such a notion. Okay, my friends in the west may laugh. But guys, check out that beam in your own eye ... think of the local governments in the U.S. seriously trying to legislate the teaching of mythology in science class ... I refer of course to "scientific creationism" ... a horse of the precisely the same color. Credulity knows no boundaries of race, gender, age, or technological advancement. 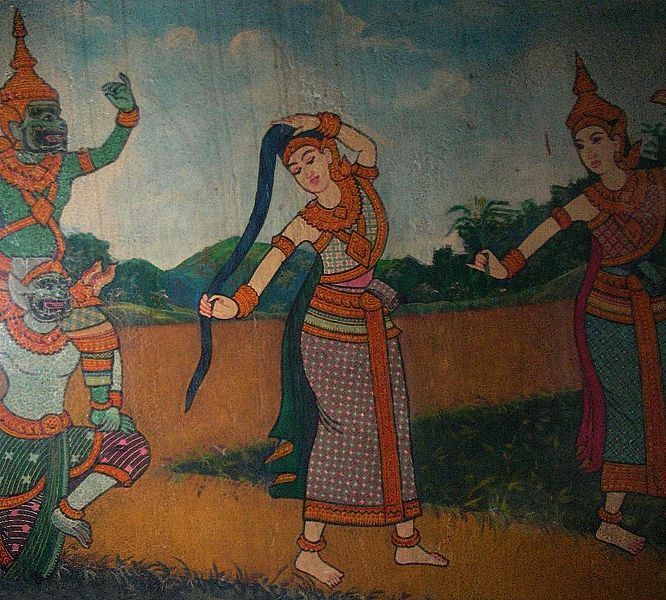 Here in Thailand we live in a society where the supernatural does not lurk in the shadows. It is mainstream. The theory I have just expounded above is unlikely to be true. But that it will seriously be believed, and acted on, is fact. And mythology has a way of becoming truth when enough people reiterate it. That is how religions happen, after all. And in Buddhism (which, strictly speaking, isn't a religion) we believe that reality and truth do not necessarily coincide. Buddha's philosophy teaches us that reality is in fact illusion ... that reality and truth are indeed in some sense opposites. And if reality is illusion, it follows that the better illusionist wins. So you see, on top of the actual drama, on top of the political drama, a third drama is being acted out as well ... drama on the supernatural plane. And it is conceivable that this third level will ultimately be a greater influence on what happens after the waters recede than anything in the other two. Now, whatever the theory may do for some people's sense of self-righteousness, it is another nail in the coffin for reconciliation. Now, if *I* were prime minister, which I am not, I would forge a new theory — a new testament — out of the same raw material. There's more than one way to manipulate the data. Why couldn't the earth goddess be angry at the entire country, which should be nation of brothers devoted to the common good, and be sending this biblical plague to force us all to get along, to turn aside the political differences and "love one another" again? And what if the facts and figures don't quite fit? Make 'em up. I'll say it now just as I said it under the previous regime: I have always given the government great advice in my blog. However, the previous administration tended to take my advice about a week too late in every case. Their timing sucked — and they didn't win the election. My advice to this administration is: never underestimate the power of a myth. With the right inspirational words, this potentially destructive supernatural force can be made to work in the government's favor. So get those handlers cracking and you'll come out of this like a goddess yourself. But aren't we forgetting someone? What about the victims of the disaster? What about doing more to help them? What about more pumps, more food, more supplies? Better science? Less bickering? Somtow, the theory of evolution is just that - a theory. It is not fact because it has not been observed. The theory of creation by an intelligent being is just that - a theory because it has not been observed. If creation science is a myth then so is evolution. Both are extrapolations of observable evidence but neither can be proven. It is a lie to say that there are no scientists who support creation or intelligent design, just as it is a lie to say that there are no scientists who are sceptical of models of climate change that posit that the earth is undergoing catastrophic change caused by human activity. I am not an unintelligent person - I have just finished my PhD (in Thai music as a matter of fact). I readily admit that I believe in Creation because I believe in God, but I would not believe it if I had not also seen considerable evidence that points towards creation rather than evolution. Just one example is the complete absence of missing links between species. If evolution were true there should have been millions of missing link fossils discovered. For every fossil of an identifiable species there should be numerous missing link fossils. The Western media chooses to portray anyone who believes in Creation or are sceptics of catastrophic global warming (of course there is global warming but latest modelling shows less than one degree in the next 100 years and less than 50 cm of sea level rise, which will not alter life as we know it in the slightest) as as crack pot because, overall, they are anti-Christian. This is evident because, in Australia, anyone who disagrees with abortion as contraception (250,000 babies are aborted in Australia each year) or adoption of children by homosexual couples or gay marriage, is also portrayed as a crazy bigot. Indeed, the theory of evolution is a theory, like the theory of gravity, or the laws of thermodynamics — and may one day be disproved when further evidence shows up, just as relativity has displaced Newtonian physics. Scientific creationism isn't, in the scientific sense, a theory, but a working backwards from faith using selective evidence. There's no reason it shouldn't be taught in school at all, in my opinion, because I don't believe that comparative mythology shouldn't be taught. It should just be taught in its proper classroom, i.e. in religion class. People who use the words "just" and "theory" together don't really understand the difference between a theory and a hypothesis. I'm not quite sure how this segues into bigotry or abortion. I haven't called you a crackpot. I doubt whether possession of a Ph D is a prime indicator of intelligence or lack of it. Many supremely intelligent people are people of faith. Faith, however, is a gift, Intelligence is not required. I think that Teilhard de Chardin's solution to the problem of reconciling faith and science is a far more sensible one than to apply the principles of midrash to the available evidence and diginify it with the term "theory" in order to give it a veneer of science. A Christian fundamentalist apologist named after Cuchulain! That's Irish irony for ya. I agree with Somtow about where creationism should be taught . . . in a Christian religion class, if you really want to teach it. Regarding the theory of evolution, your words "It is not fact because it has not been observed" don't make sense at all. First of all, evolution has always been taught as a scientific theory, not as fact. Secondly, it is a theory which could not have arisen without close and thorough observation. If Darwin had not had "all his ducks in a row," to use a sort of double entendre, he never would have made much of an impression, and the theory of evolution would have been a lot longer in coming. But the evidence that has by now been amassed for this theory is overwhelming, so you cannot correctly say "it has not been observed." As for the other things you say, I suggest you write your own blog if you'd like to expound on them. They don't have anything at all to do with the excellent points Somtow makes here about the situation here in Thailand. It seems you have completely missed the boat here. Please go back and read again. This is about Thailand, Thai politics, Thai spirituality and spiritualism, etc., not about abortion or adoption, homosexuality, or Christianity. To you, Somtow, as usual, I thank you for your thoughts. Hi Somtow and Turk, sorry I must have missed the rules which say that comments had to stick to the subject of the original post?? Why am I not allowed to refer to other subjects? Somtow is quite free to not post my comment if he doesn't wish me to 'stray off topic' but my experience of reading his blog is that he's open minded enough to discuss anything. My previous comment was in that vein. And Somtow, if you read closely I did not accuse you of calling people like me a crackpot - I said that is the trend in the western media. Turk you do what all evolution and catastrophic climate change apologists do, which is to say that the evidence is overwhelming without actually citing any. The holes in the theory of evolution are never actually addressed - I note that you did not respond to my query regarding the lack of mid-species fossils. The adoption of the theory of evolution had as much to do with the rise of anti-Christian western thought during the 19th century as any major discovery by Darwin. If you don't believe in an all powerful God your mind certainly won't be open to the possibility of creative design. 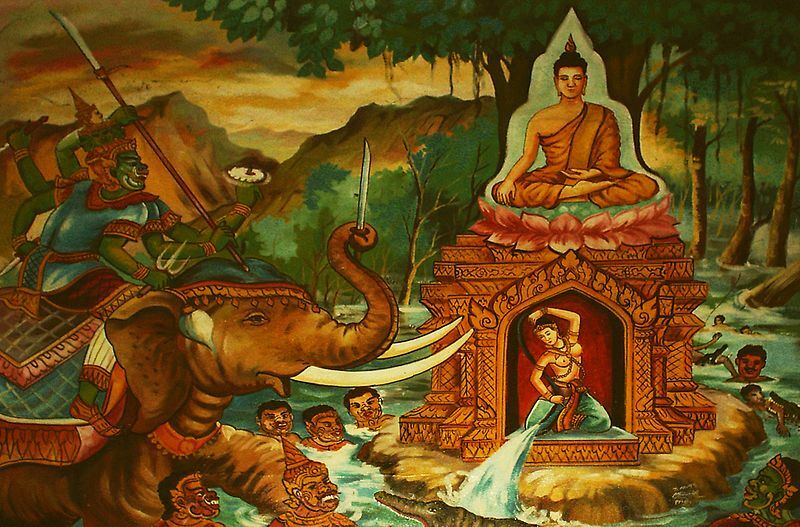 By the way Buddhism as taught by Buddha himself was not a relgion (rather a philosophy) but Thai Buddhism is certainly a religion because it involves spirit worship, a practice that Buddha said was unhelpful. I agree with Turk that Somtow's post was both informative and well written but I don't see why that means that I can't raise other issues, assuming that it's okay with Somtow the moderator. By the way the whole Cuchulain99 thing is a mistake - I had to get a wordpress blog id to be able to post a comment and it seems to have used my login automatically as my nickname. My name is James. James, this is all very interesting but I do think that while there are no hard and fast rules on these matters, netiquette would strongly suggest that comments be about the matters at hand. I would indeed love to have a different discussion about how Christianity has been distorted by both fundamentalists and anti-religionists, but I'll save that for another time and another blog entry. The only time I've ever censored any comments was when someone made violent threats or said things which in the current political climate might cause me to be dragged off to the gulag ... apart from that, I am the laxest rule-enforcer I know. As I recall, the mythical Cuchulain once slew a dog. All I can say is: "You killed it - you eat it." Thank you, James. But I still think it's more appropriate to stay "on-topic," especially when the topic is one as important for a nation as this one. Regarding your theories, I don't delude myself that I can convince you with reasoned arguments, because you are starting out from a point of faith, which--I hope you would agree--is beyond reason. So I won't bother with the "holes" you suggest exist, and I certainly don't want to embark on a crusade here. But I'll reiterate something from Somtow's post: "Scientific creationism isn't, in the scientific sense, a theory, but a working backwards from faith using selective evidence." That's why it shouldn't be taught as science any more than the doctrine of the Flying Spaghetti Monster (http://www.venganza.org/) should be. Now I wouldn't want to see that taught in a science class, would you? Of course, in FSM Sunday School, it would be fine . . . . I'm sitting here in Bangkok waiting to see if the flood will reach my own home. I'd rather wait till another time to get into a discussion of this, and then only if there is a hope for a truly open-minded discussion. I don't mind if you want to have the last word on this, now--I'm not going to comment on it here any more--but if I am ever going to get involved in further discussion, how about another time, another forum? Or wait till Somtow wants to give it headline status.